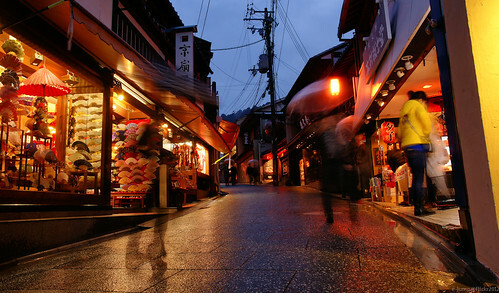 Street to Kiyomizudera, originally uploaded by e-jump. After sunset, in the rain and cold. I hope the next time I visit Kyoto its not raining.